Maliwan is an experienced instructor and native speaker of Thai language. Maliwan began teaching Thai in 2008 at the language school “Jentana Associates” (http://www.thai-lessons.com/). Here she taught students of various levels and linguistic backgrounds, coming from Japan, Europe and the United States. 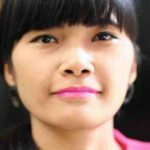 From 2010 to 2012 Maliwan worked at the “Sukhumvit Thai Language School” where she gained further experience teaching both group and individual lessons to students of different ages and levels. Since 2013 Maliwan has worked as an instructor of Thai language online. She creates custom materials for lessons and maintains her own YouTube channel. In addition, Maliwan has published her own textbook on Thai language, which she actively uses in her lessons. We invite you to learn the Thai language online with our teachers. Your first lesson is free of charge!